Now, wouldn’t we all love that perfect moment in the spotlight, when we do that immaculate move? Except not all of us are gifted dancers! 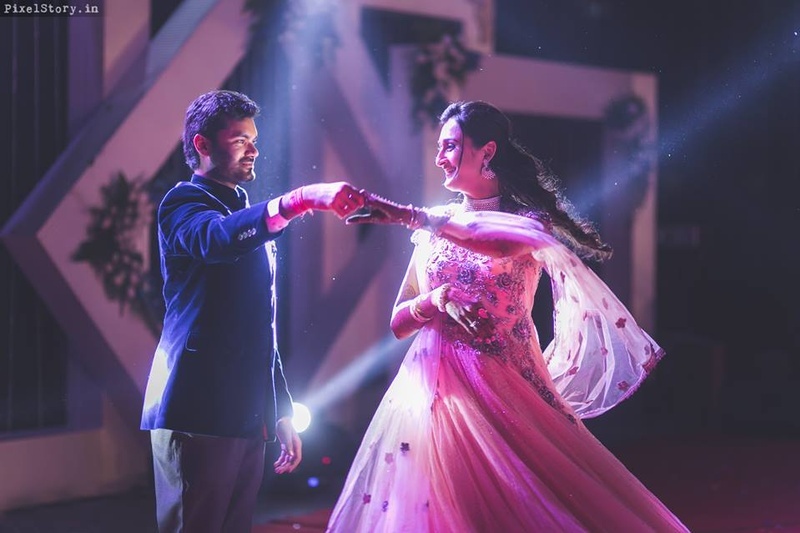 We hear you dear brides-to-be and bring to you the top wedding choreographers in Mumbai who can teach you those moves even if you have two left feet! Our list comprises of artists who can make wedding choreography a cakewalk! With their expertise in the dance form, you can put up a dream like performance. They can guide through the performance and make sure that you appear flawless on stage! So, what are you waiting for? Scroll on to find out more! If you want to dance your heart out, Ankit Shah should be your go-to choreographer in Mumbai. Considered as one of the best wedding choreographers in Mumbai, he can teach you and your team the finest of moves to ensure a rocking performance. This prolific dancer began her dancing career with Shaimak Davar and was a leading instructor with him. She specializes in Bollywood, Belly dance, contemporary, indo-contemporary, latin, hip-hop, jazz funk and many more styles. She has also trained the participants for the Common Wealth Games and is closely associated with television and film industry. Urmila has worked with the likes of Kangana Ranaut, Sunny Leone, Badshah and others. With stage as well as screen performances to her credit, she is surely one choreographer you should check out for the sangeet! A participant of Dance India Dance, Prince is a celebrity both abroad and in India. He also acted in the film ABCD and has earned a name for himself in the choreography industry. Whatever be your style, Prince can surely give you an excellent dance routine to rock on the sangeet night! Karan is a multi talented person who has expertise in choreography and stunt coordination. He has trained at the Terence Lewis Dance Academy and has done over 150 shows. He has also performed with stars like Priyanka Chopra, Shahid Kapoor, Ali Zafar and Veena Malik. Whatever you have in mind - Bollywood, western dance, salsa, contemporary dance, ballet or jive performances – Karan can do it all! Melvin has over eight years of experience in the industry and can make any event come alive with his performances. Salsa, jive, hip-hop, belly dancing, Bollywood and western forms of dance are his areas of expertise and he has travelled all around the globe for his art. With his guidance, your performance will be nothing short of stunning!